Famous landmarks in Naples Italy include the Naples Cathedral (Duomo), Naples City Hall, the Royal Palace and several castles. Other popular tourist attractions include several museums, churches and art galleries. Naples is the departure point for excursions to Capri, Herculaneum, Pompeii, Positano, Salerno, Mount Vesuvius and the beautiful Amalfi Coast. Excellent hotels can be found in downtown Naples, near Capodichino Airport and in nearby communities. 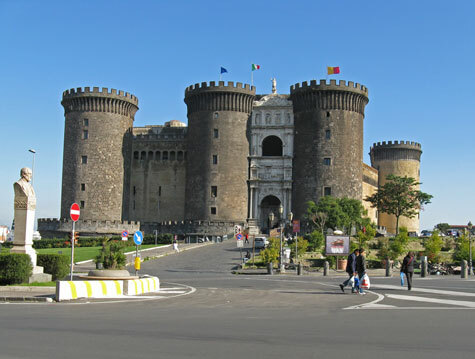 Naples is southern Italy's transportation hub for trains, planes, ferries, cruise ships, buses and hydrofoil services.